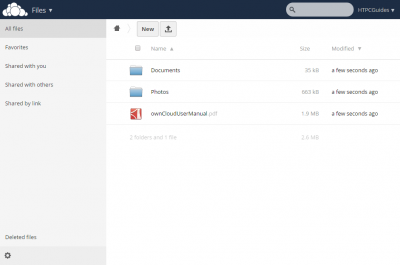 ownCloud is a popular cloud storage solution for your home server. It is the closest dropbox-like experience I am aware of that has clients for Windows, Mac, Linux, Android and iOS. I have chosen to use ownCloud as a backup for dropbox so my ownCloud folder and Dropbox folder are one and the same. ownCloud runs much faster on the Rasbperry Pi 2 compared to the B+ and earlier models so it is far more usable now though it is still limited in speed by the slow fast ethernet port and USB hard drives. If you back up large amounts of data and like speed then consider using a Banana or Orange Pi which both have SATA ports and boost your speeds 4x over (see benchmarks). Do make sure you regularly back up your ownCloud hard drive using rsync or some other method to protect your data. 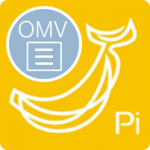 This guide was tested on the Raspberry Pi 2 but will work on the Banana Pi as well as ODROID, Orange Pi, Cubieboard and other Lemaker models. ownCloud requires a database engine for which I use MySQL. It also needs PHP and a web server (I use the lightweight yet powerful nginx) in order to work so all these components will be installed if you follow this guide. 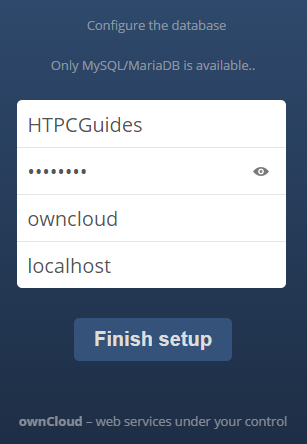 If you want remote access to ownCloud through a friendly URL see the nag free dynamic DNS guide. Now create the MySQL database for ownCloud and grant permissions to the ownCloud user you create. Adjust the database name, username and password as necessary. I color coded them to make it easier. Create the web folder for owncloud, grab the latest owncloud release and unpack it. For Country Name, State, Locality Name, Organization etc you can leave them blank. 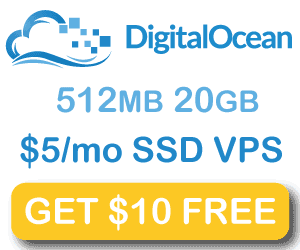 I have assumed a 10GB limit (10G) and a 60 hour session which should cover even the most extreme upload scenarios. Using the owncloud clients is the better option. You should also adjust your maximum upload size to match what the nginx configuration says. #The maximum time in seconds a script is allowed to parse input data. If you already have your hard drive mounted properly then you can add the www-data user to the pi group to prevent permission issues. nginx runs as the www-data user so ownCloud runs under this user. Note that you may have to enable NAT loopback in your router or the equivalent setting for your dynamic DNS address to work inside your home network. You will also get a warning about the SSL certificate because you generated it yourself rather than used a Certified Authority, you can safely ignore this warning. 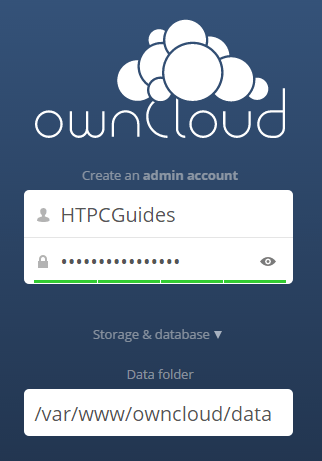 Once you get to the ownCloud web interface choose an administrative account name and password. Enter the SQL database details you created earlier, your username and password come first and then the database name. You do not need to change localhost. Alter permissions for your mounted folders if you encounter any problems, 750 gives write, read and execute access to the www-data user and read and write access to the www-data group.